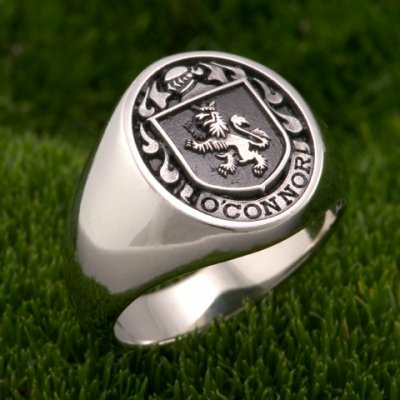 Each My Lineage, Inc. Sterling Silver Family Crest Ring is individually made through a meticulous die cutting and production process. Its closed back construction creates a weight and quality feel like nothing you have experienced. 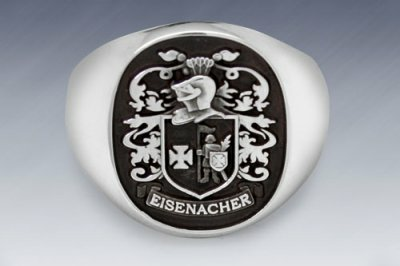 Provide your last name and country of origin and we will research your family\'s coat of arms. Our unique combination of Old World craftsmanship and the latest die cutting technology allows us to achieve a level of detail and quality never seen before. Price includes the cost of shipping. Please allow approximately 3 weeks after final payment for production following your approval of the design. 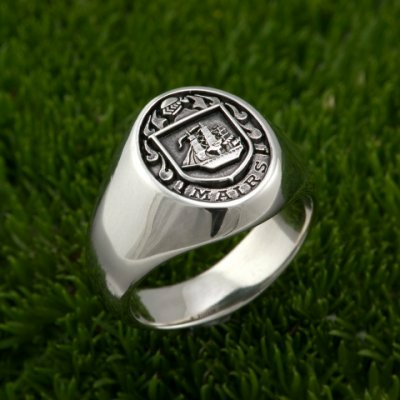 Each ring will be shipped in a My Lineage, Inc. gift box.